The Keith Emerson Estate Announces the Re-release of “Emerson Plays Emerson” on CD & Download. OUT NOW! The Keith Emerson Estate Announces the Re-release of Emerson Plays Emerson on CD & Download. London – The Keith Emerson Estate is pleased to announce the re-release of the celebrated album of Keith Emerson keyboard (and rare) pieces, Emerson Plays Emerson, which has long been out of print and a collector’s item. The re-release is the Estate’s own imprint label Emersongs, via Cherry Red. London, UK – Welcome to Manticore Hall! 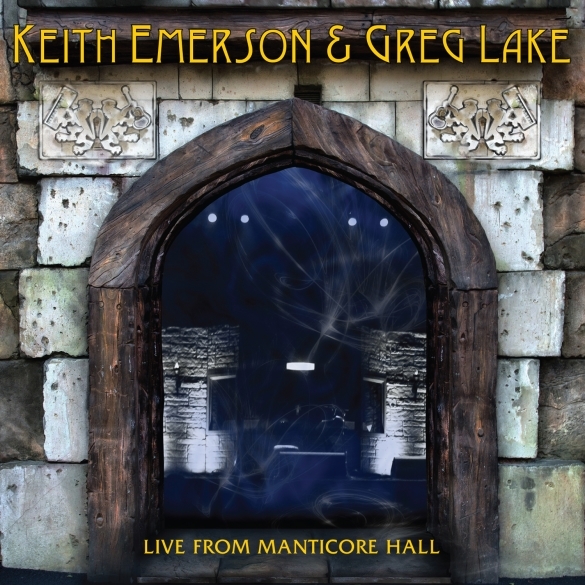 Keith Emerson and Greg Lake, two of the founding members of prog legends Emerson Lake & Palmer, will be releasing their highly anticipated new CD ‘Live From Manticore Hall’ on July 14, 2014 on Manticore Records, via Cherry Red. The duo’s forthcoming live album captures their unique two-man versions of a selection of well known material from ELP’s celebrated catalog, including the hit “Lucky Man”. These recordings were taken from a live show during their 2010 world tour and presented here for the first time!